33rpm LP Record of RLP 10 YVONNE ARNAUD Talking and Playing the Piano, with contributions from Sir John Barbirolli, Freddy Grisewood and Charles Victor. 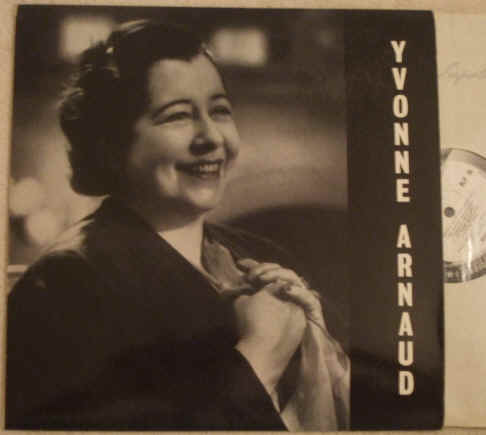 Yvonne Arnaud plays piano. There is also an extract from Act 1 of 'Travellers' Joy' featuring Arnaud. It was specially recorded for The Yvonne Arnaud Trust by EMI, partly from BBC Archive material, and was issued in 1963. The record itself is graded excellent, with no visible scratches/marks when viewed under normal house lighting. Superb sound quality, with NO jumps, ticks or crackle and just a very occasional light dust pop (just to be critical). Otherwise more or less faultless playback. The outer sleeve is graded a bit less than excellent with no more than light wear. The original inner sleeve has no wear to speak of.